It’s great to be back in Portland, where the trees are green, the politics are blue and the living is healthy. 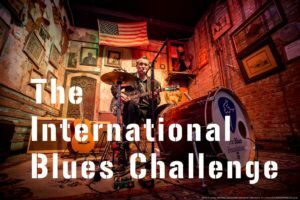 I had the chance to return to Memphis for the 2017 International Blues Challenge (IBC) as a fan and volunteer. Here’s my report. The IBC is a competition. This year featured 260 acts from 38 states and 14 countries. Each local blues organization selects and sends one band, one solo/ duo act to compete, and a youth act for the non-competitive showcase. But it is much more. It is a blues conference with workshops and classes to support the musicians. Picture a business conference with delegates from around the world wandering around with badges and rollaway bags. The difference is that the bags are guitar cases and cymbal bags and the convention center is Beale Street. The acts compete in a three-night elimination in the Beale Street clubs, scored by a panel of judges. Points are awarded for blues content, instrumental and vocal performance, originality and stage presence. Each act gets 25 minutes. Eight bands and eight solo/duo finalists compete in the historic Orpheum Theater on Saturday. Winners get a prize package, with valuable bookings in blues festivals. The 2017 competition was intense. The scores must have been razor close it took over an hour to calculate the winner. This is an amazing event for blues fans. Oregon is a major player in the IBC. Oregon has not one, but two Societies. The Cascade Blues Association sent Rae Gordon and the Backseat Drivers as the band, David Pinsky as the solo/duo act and Timothy James and Ryan Stadler as the youth act. The Rainy Day Blues Society in Eugene sent the Hank Shreve Band. Rae Gordon goes on to win third place in the band competition. Mazel-tov (congratulations) Rae! As a fan, it was a joy to get to meet our wonderful musicians up close and personal and to cheer them on in the finals. The Blues Foundation sponsors the IBC and volunteers run the events. I volunteered as a judge’s assistant in Alfred’s. The best part of volunteering was getting to meet the musicians and help with the all too short ten-minute sound check. I took it upon myself to bug the sound guy if the vocals were too low. (As a fan it is my pet peeve.) As the sole Oregon volunteer at Alfred’s, I got the honor of introducing the Hank Shreve Band. Hank’s dad was happy someone was there who knew how to pronounce Oregon. For blues lovers this is a smorgasbord of blues. Reasonable priced festival passes (sold for one night or for the week) allow admission into all of the events. The Beale Street venues have, big stages, great sound systems and wonderful, if not very healthy, food and drink choices. All on one closed street. It’s easy to hop around. With an estimated attendance of 3,000 per day the 18 participating clubs were full, but not crowded. Bands come from around the world, from Canada to Croatia. Dawn Tyler Watson from the Montreal Blues Society won the band competition. Israel’s SOBO made it to the finals as did Felix Smith from Hondarribia, Spain. As a fan you have the opportunity to hear and meet these wonderful artists that you might never get to hear locally. The showcases are non-competitive shows to promote the blues artists. There was an International Showcase, a Northwest Showcase with our own Ben Rice hosted a Youth showcase and a Galaxie Records showcase. These events take place during the day; so you get band after band, day and night. As blues fans we may forget the pain that inspired our favorite music. Many of our founding artists worked in the cotton fields around Memphis and came to Beale Street to cut loose on the weekends. In March 1968, Beale Street was badly damaged after the riots during the Memphis Garbage strike where protesters carried “I am A Man” signs and where Dr. Martin Luther King led the marchers. Dr. King and was later assassinated about a mile away in the Lorraine Hotel. Memphis and the surrounding area give you a chance to connect with music and social history. The 34th Annual International Blues Challenge will be held January 16 – 20, 2018. Memphis is a long way from Portland, but it is easy to get around once you are there. Plan to stay for the week if you can. Take time to visit the historic sites including Sun and Stax Studios. Get a reserved seat for the Orpheum event and pace yourself with the food and drinks! Four nights on Beale Street is a lot for anyone. If you are a band, get your entry in to the Cascade Blues Association by April 5 for the 2018 IBC! 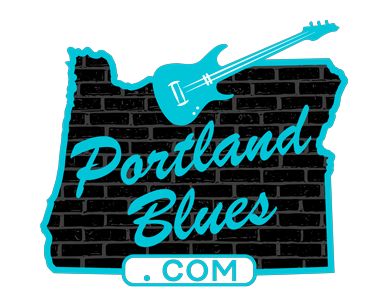 If you are a fan, plan to attend the local competition in June and the finals at the Waterfront Blues Festival. I hope to see you all there!